On Wednesday 13th February 2008 the Australian Government led by the Prime Minister Kevin Rudd said sorry to Indigenous Australians for the past injustices, especially to the Stolen Generation. This was an emotional momentous event in the history of this country. Burton Didj's supports and encourages everyone to actively get involved in bringing about change to the inequalities that exist between Indigenous and non-Indigenous Australians. Burton Didj proudly supports the Yirdaki Masterclass. What: A one week cultural immersion experience with Djalu Gurruwiwi and family. This is a rare opportunity to learn from the Grandmaster of yidaki, as well as to experience Yolngu life from the inside. Where: Ga:luru outstation, Gove Peninsula, NE Arnhem Land, Northern Territory, Australia. Cost: AUD$2000 per person for 7 days. 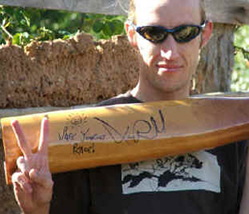 The Huon Valley Environment Centre - Tasmania raised funds by raffling a Burton Yirdaki signed and donated by Xavier Rudd in December 2007. The funds were used to support their work in protecting the Weld Valley in Tasmania. Burton Didj in December 2007 auctioned another Yirdaki autographed by Xavier Rudd with part proceeds ($800) donated to the "Close the Gap"campaign by Oxfam Australia. The winner of the auction was Simon Hulls who also won the last auction in 2005. Simon's brother is now the proud owner of this didj. This campaign is aimed to engage all sides of politics to commit to a plan of action to achieve health equality for Aboriginal and Torres Strait Islanders. Part proceeds from the auction sale will be donated to the "Close the Gap"campaign by Oxfam Australia. This campaign is aimed to engage all sides of politics to commit to a plan of action to achieve health equality for Aboriginal and Torres Strait Islanders. All wood shavings are recycled back into garden, or they may also used for kindling for a fire (BBQ). I also collect the sawdust for repairs on some Instruments. I believe every one can make a difference in helping to ensure that our children and future generations may also enjoy a long happy life on Mother Earth! William Barton pictured with Cathy Freeman and students from Palm Island Far north Queensland. This pictured appeared in The Daily Telegraph, Thursday 6th December 2007. This is one of the projects from the Cathy Freeman Foundation by working together with individuals and communities to enable all those involved to fulfill their potential through greater opportunity. On Palm Island she is focusing on encouraging young children to attend school. Read more about the great work by the Catherine Freeman Foundation website. Burton Didj's auctioned a didj signed by Xavier Rudd on Ebay in 2005 with the proceeds donated to World Vision Tsunami. Simon Hulls was the successful bidder for the autographed didj. "I'm so excited that I just won the auction for the didj! I can feel the adrenalin pumping through. I didn't think you could put a price on a Burton didj signed by Xav, but apparently it is $1,625! I thought it would go for a fair bit more. Can't wait to get my hands (and lips!) around one of your didj's either! "what is good is not what is cheap". Quality just has it's adequate price. There are simply just a Handful of Competent Didgeridoo Builders. Many traders sell ill-advised and so contribute the attitude that high quality didgeridoos are regarded over expensive". The Aboriginal flag was designed by a young Aboriginal man named Harold Thomas in 1971. It was officially accepted by the Australian Federal Government in 1995 and is now recognised and respected by both Aboriginal and non-Aborigials. 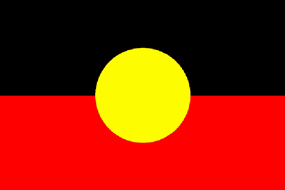 The Black symbolises the Aboriginal people, the Yellow represents the sun, the life source of the earth and all its people, and the Red represents the soil of this land. Oxford Dictionary: Didgeridoo/Didj - Australian Aboriginal musical instrument in the form of a long wooden tube, which produces a deep resonant sound. Throughout the pages of this website you will see the word Yirdaki. 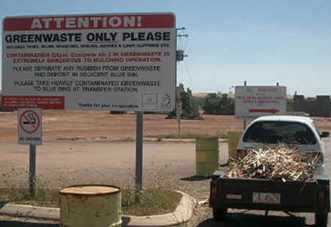 In North East Arnhem land Yirdaki is the traditional name for the instrument known around the world as a Didjeridu.